Above Ground on the London Underground—Day 23: So this is Knightsbridge? I’m taking a virtual walking tour ‘above ground’ on the London Underground. Using my Tube guide & my fitbit® device, my goal is to walk 10,000 steps a day roughly following along the Underground route, reporting back here on Fridays with my findings. Here are the days that came before. Currently following the Piccadilly Line. This is Day 23. As long as we’re in the borough of Kensington & Chelsea, let’s breathe in the rarified air. 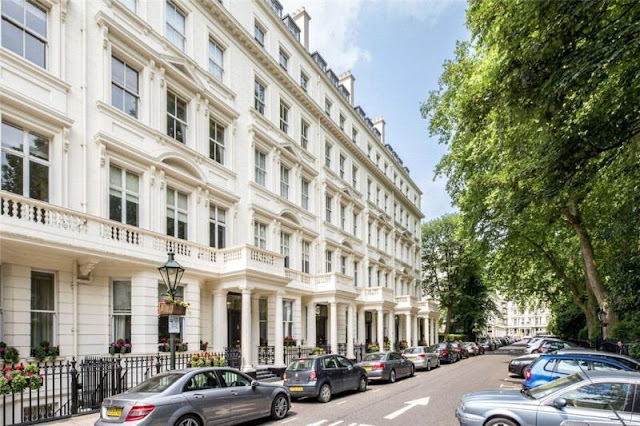 For my money, it sounds a bit like Bev Hills but a tad cooler with Stella McCartney, Eric Clapton, Richard Branson, J.K. Rowling and Elton John calling the area home sweet home. 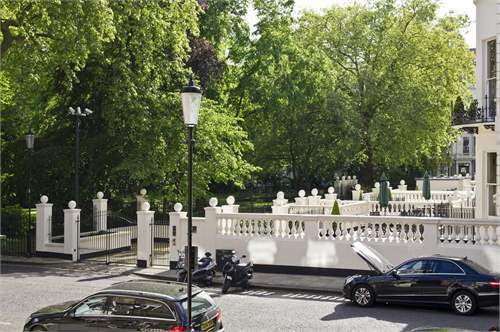 Correction, Chelsea is one of the four places Sir Elton calls home. The Evening Standard reports he’s got pads in Venice, Nice and Berkshire as well. 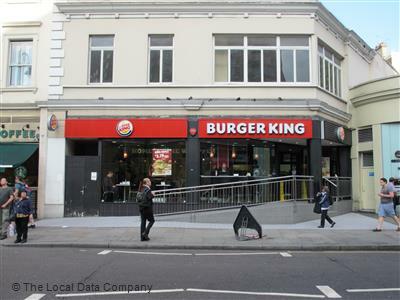 But truth be told, where the tube lets out on the Gloucester (Gloster) Road in the Knightsbridge nabe of Kensington, we could be in any ugly urban center in the U.S. There’s a Burger King, a KFC and a Starbucks all in a row. ICK. I turn the other direction and head down toward Harrington Gardens, practically running into the drinkalicious-looking Stanhope Arms. While it’s part of the Taylor-Walker chain, the pub itself was built in 1835 and reeks of the kind of British ambience I’m walking around London for. 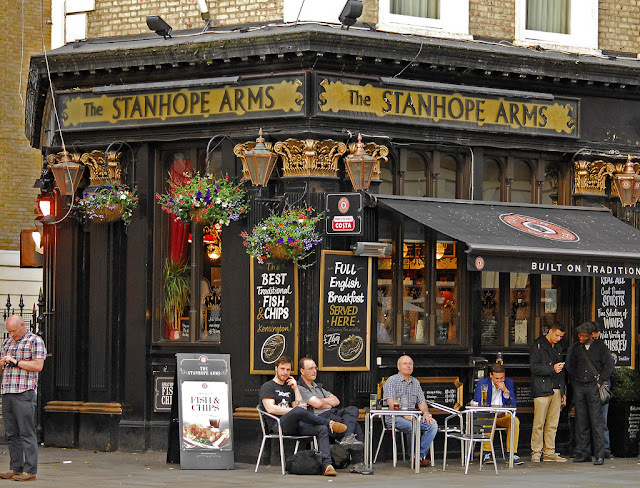 The Stanhope serves pub food including some scrumptious looking beer-battered fish and chips. I plan on washing it down with the special pale ale dubbed 1730. I can only hope it washes away the sight of those three awful looking American imports. Starbucks is not so bad with its green awning adding a trace of architectural character but could BK and KFC not have found a way to shine a friendlier face on the neighborhood, rather than their cheap as chips exteriors? 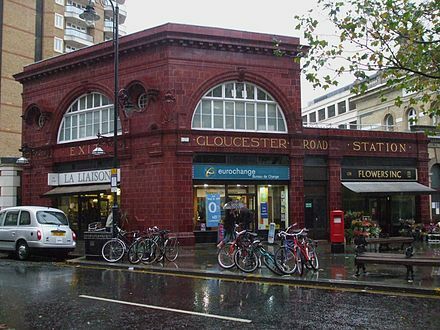 Just around the corner, on Harrington Garden, is The Grosvenor, Gloucester; one of a handful of Grosvenor Casinos located around London. Once upon a time all English casinos were members only establishments. Getting in was tricky, required big moolah, and often a recommendation from a current member. That changed about a decade ago and now for the most part, casinos are open to the public. I debated whether to put on a slinky black dress—along with my younger slinky alter-ego—and go in search of James Bond playing cards but I think I’ll pass. James would never play cards there, he’d stick to the jacket and tie kind of gambing establishment that the remaining members-only clubs like The Ritz require. Still it’s a step up from gambling in California where we have our fair share of Indian casinos, most of which seem to be havens for the sweatpants and athletic shoe wearing type of gambler. The only exercise they get is the pulling of the one-armed bandits. 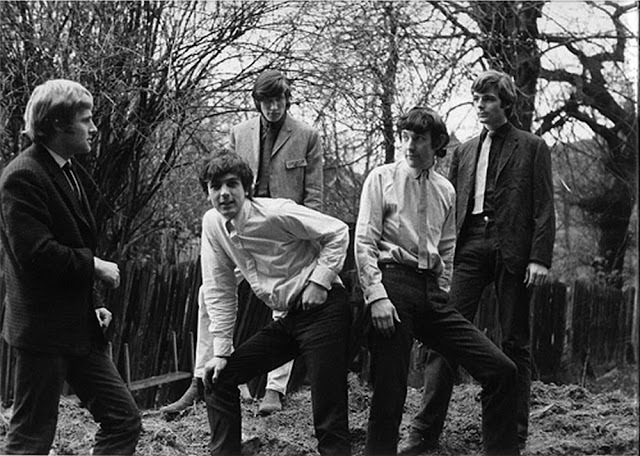 If you’re a Pink Floyd fan and you’ve heard Syd Barrett lived in a flat at 39 Stanhope Gardens, where the band was formed back in the 1960’s, you may be tempted to search the nearby Stanhope Gardens. Don’t be. That’s another Stanhope Gardens, in Highgate up near Shepherd’s Bush and Crouch End. THIS Stanhope Gardens is slightly more polished. Let’s take a walk around the block. It’s one of those community gardens designed for exclusive use for the surrounding homes, in this case a neighborhood chock-a-block with some fairly chi-chi flats. Nope, no ghosts of Pink Floyd in sight. there’s so much to see and do in the area. I think we’ll start with a visit to the Natural History Museum. The buildings along Stanhope Gardens are lovely! I liked the neighborhood around the National History Museum (although we thought of it as the neighborhood around the Science Museum and, I suspect, most folks focus on the V&A. I walked one day from the Science Museum to Harrods. I’ll have to visit them all you know. AND Harrods too. I, too, hate to see these American icons (??) when travelling. Some towns in Mexico only allow these institutions to display muted tasteful signs. I will always choose a local cafe over Starbucks any time, well, unless I really need their free wi-fi!! I need to go back to basics and understand why you're on this mission, Sim. :) I lived in London for 4 years from my late teens. I was a poor fashion student in those days and walking was all that I could afford. I loved it though. I was born in London in ’53, my parents, their parents, etc, are British but I haven’t been to England since 1989. I started my walk because I wanted to get reacquainted with the city and the country I’ve felt a kinship and a love for. My mother used to tell me she walked all over London when she was a young woman; that’s part of my inspiration.